Mark Meynell skilfully brings the New Testament to life. Guiding the reader through preaching the Gospels and Acts, the Parables, the Letters and Revelation, as well as using a host of worked examples, sample sermons and personal exercises, this book offers ideas and approaches to stretch even the most seasoned preachers. This preaching resource will make an excellent companion to Christopher Wright's Sweeter than Honey: Preaching the Old Testament. 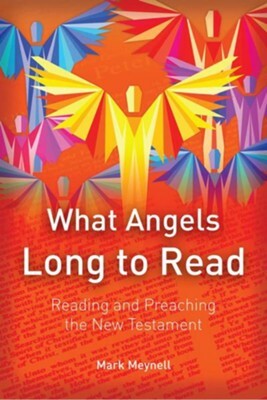 I'm the author/artist and I want to review What Angels Long to Read: Reading and Preaching the New Testament.